Published in The Ofi Press issue 44. 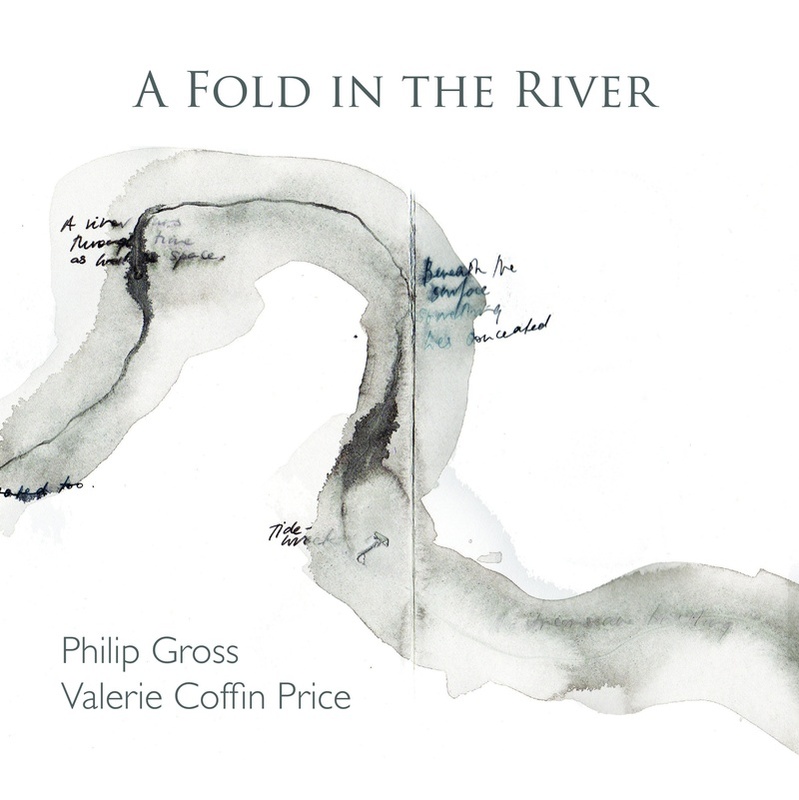 A Fold in the River, by Philip Gross and Valerie Coffin Price, is a delicate, beautiful meditation on the nature of the river Taff, and on the poet’s very human responses to it. When Philip Gross moved to Quakers Yard he became enamoured with the Welsh river and he recorded his walks along its banks in his journal. Eventually, these entries distilled into poems which he showed to the artist Valerie Coffin Price. She responded to art as artists do and began creating paintings to go along with the text. The result is a collection that could feel at home in a museum, or spread open on a coffee table. The stanzas of this poem are arranged laterally, around an abstract map of the river which Valerie Coffin Price painted by blurring lines of sepia ink over part-obscured text. The map is laid against a stark-white background, and the effect is at once, paradoxically, calm and startling. The house gains life through its own decay, becomes more real as it rots out of service. For all the seeming-languor of the riverbank, the river is an agent of change. There is no painting on this page, but the two-pages before bear an untitled watercolour of a riverbank in cool shades of green and gray, with the words ‘The river is / a species of fire / a tree that grows inward / a mere circumstance’ printed in faint ink, by an old-fashioned typewriter. While both the poems and the paintings are more than good enough to stand on their own, the two forms are immeasurably stronger together. They brought me a great deal of pleasure. It has been a long time since I’ve seen a book whose art and words react so well, so naturally together. This book reads like something that formed naturally. It provides the same sort of sensory satisfaction as a perfectly-smooth river-rock; curved and soft-textured, but with a lot of heft. The artifice is of such a high level that it is nearly invisible. It reads like a thing that should be, not like something that is because it was forced. The word for this is ‘healing’. A Fold in the River is a break from the world.